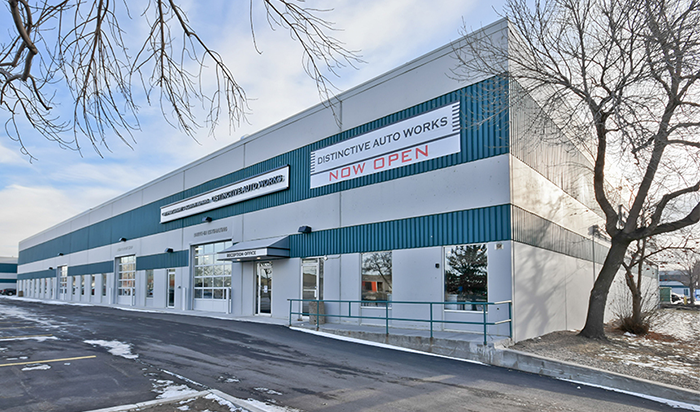 Distinctive Auto Works is the newest luxury collision repair centre in Edmonton, Alberta with a state of the art 24,000 square foot collision repair facility. We are a certified collision repair centre (CCRC) for Audi, the BMW Group (including MINI), Jaguar, Land Rover and Porsche. Our experienced craftsman are equipped and factory trained to meet the exceptionally high standards in quality and service expected by the top luxury vehicle brands such as Audi, BMW Group vehicles, Jaguar, Land Rover and Porsche. We offer a lifetime warranty on the quality of our work. If any issues arise from our workmanship at any time as long as you own the vehicle, we’ll repair it for you. You can drive away with the confidence of knowing that your vehicle was restored to its original pre-accident condition. What it means to be a Certified Collision Repair Centre? Great efforts have been made to engineer Audi vehicles to the highest standards for workmanship, vehicle integrity and passenger safety. Unfortunately, accidents happen. If this occurs, you can trust the experts here at Distinctive Auto Works to return your vehicle to its pre-accident condition so neither your Audi perfect driving experience nor its value is diminished. We have made extensive investments in Audi specified tooling to help ensure that our technical staff have the right tools for your repair. 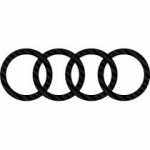 As well as, ensuring that any technician that makes repairs on your vehicle have been trained by Audi Canada to use factory-approved procedures that help produce safer repairs and bring your vehicle back to its exacting standards. For vehicles constructed with advanced materials, like aluminum in the 2018 Audi A8 bring it to us. It is the only way to ensure the proper repair of your Audi A8/S8, or TT/TTS (2008+) or Q7 (2017+) as we are an Audi Authorized Aluminum Collision Repair Facility. Protect your Audi vehicle’s exquisite exterior with quality workmanship that lives up to Audi’s high standards and bring your vehicle to Distinctive Auto Works. Distinctive Auto Works has Certified Collision Repair Centre (CCRC) status from the BMW Group which includes all BMW vehicles including MINI . When it comes to restoring your luxury vehicle after a collision, using just any autobody repair service could compromise the safety of your vehicle. That’s why BMW has a network of BMW Certified Collision Repair Centres across Canada, offering advanced technology, BMW trained specialists and guaranteed work. Only certified facilities can guarantee that your vehicle’s safety systems have been restored to their original factory safety specifications using original BMW parts. For expert collision restoration make Distinctive Auto Works your BMW CCRC. Our Jaguar repair specialists have undergone comprehensive, certified training in approved Jaguar repair processes. Our technicians have mastered the use of unique tools and are highly qualified in surface repairs and structural restoration. We are the only ones to rely on for expert repairs of everything from hail damage to major autobody damage. Distinctive Auto Works is part of the Jaguar Approved Body and Paint Center Network and the Jaguar Land Rover Authorized Aluminum Repair Network, so you can be assured you’re getting repair work worthy of carrying the Jaguar name. 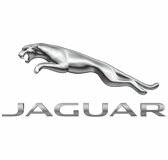 Our certified shop has gone through extensive training to meet Jaguar standards. As an authorized shop we have exclusive access to genuine Jaguar OEM and aluminum repair parts, so you can be sure you’re getting the parts and service your Jaguar requires to stay not only in optimal condition but it ensures your factory warranty is maintained. DAW is proud to be a certified Land Rover and Range Rover auto body shop. 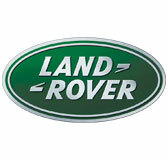 Land Rovers are powerful all-terrain luxury vehicles designed to go through the worst road and weather conditions. The Land Rover body is constantly put to the test, and this is when our Land Rover specialized body shop comes in. Our experts will repair dents, scratches and everything in between, whether it be from driving to the office or off-roading on difficult terrain. Your Land Rover will be ready to hit the road with the style and grace that characterize it. When you have your Land Rover repaired by our certified collision center, we can assure you that only genuine manufacturer parts are used in repairs with approved equipment, following certified procedures. You will be at ease knowing your vehicle’s safety systems and structural integrity will be maintained and factory warranties upheld. In fact, we are so confident in the quality of our repairs we offer a lifetime warranty. Being part of Jaguar Land Rover’s Authorized Aluminum Repair Network means we are one of few elite repair centers authorized to perform comprehensive collision repairs on aluminum-bodied Jaguar, Land Rover and Range Rover vehicles. Our exacting standards of repair and our use of Land Rover engineering methods and techniques mean that your vehicle will be back in pre-accident condition as efficiently as possible. No one wants to think about anything happening to the Porsche you’re so proud to call your own. But if anything ever does, it’s good to know there are pre-approved collision repair facilities – like Distinctive Auto Works individually selected by Porsche Canada, and then specially trained and equipped – to provide collision repair services that meet the high quality standards you’ve come to expect from Porsche. Whether your vehicle needs repair due to accident damage, or you want to restore your Porsche to factory-new condition, trust Porsche Certified Collision Centre Specialists to truly understand the value you place on your vehicle, and the importance of returning your Porsche to it’s original, authentic glory. If your Porsche could benefit from an expert’s meticulous care, visit Distinctive Auto Works today. We’d love to take you on a tour of our brand new state of the art shop and show you our dedicated body stall for aluminum vehicle repairs, four sparkling prep areas, 12 neatly maintained body stalls, and 2 NitroHeat-equipped downdraft spray booth’s. Because as you know, luxury performance vehicles are built to exacting specifications from carefully selected metals, plastics and electronic equipment. Preserving the integrity and function of these components means having the right systems and tools. You’d see them all. To maintain the integrity of your fine automobile we exclusively use only Original Equipment Manufacturer (OEM) parts from all the top brands, which are designed, crash-tested and engineered specifically for your vehicle. This is all in our pursuit of providing you the ‘best or nothing’ collision repairs. For repairing frames, we use the factory-spec Celette frame-straightening system to restore your vehicles frame to the almost unheard-of tolerance of zero specified by Audi, BMW, Jaguar, Land Rover, and Porsche. That’s as precise as you can get – and the tolerance we are able deliver with these amazing devices. Our paints and NitroHeat-equipped spray booths are also approved by all the luxury brands to guarantee our repair will do nothing to diminish your vehicle’s original lustre and weather resistance, or the joy you derive from owning it. Distinctive Auto Works is as committed to using the highest-quality materials and equipment available as it is to reducing our footprint on the environment. We’re pleased to say our advanced nitrogen-driven painting system succeeds in addressing both these concerns with (literally) flying colours. By supplying a smooth, steady flow of 98% pure, heated nitrogen to our paint guns with all impurities and water particles removed, the NitroHeat system produces dramatically less overspray and waste, reducing paint consumption by up to 30%. That keeps tens of thousands of litres of paint a year out of the environment. Even without the tour, you get the picture. We can’t improve on perfection, but we can certainly uphold it.